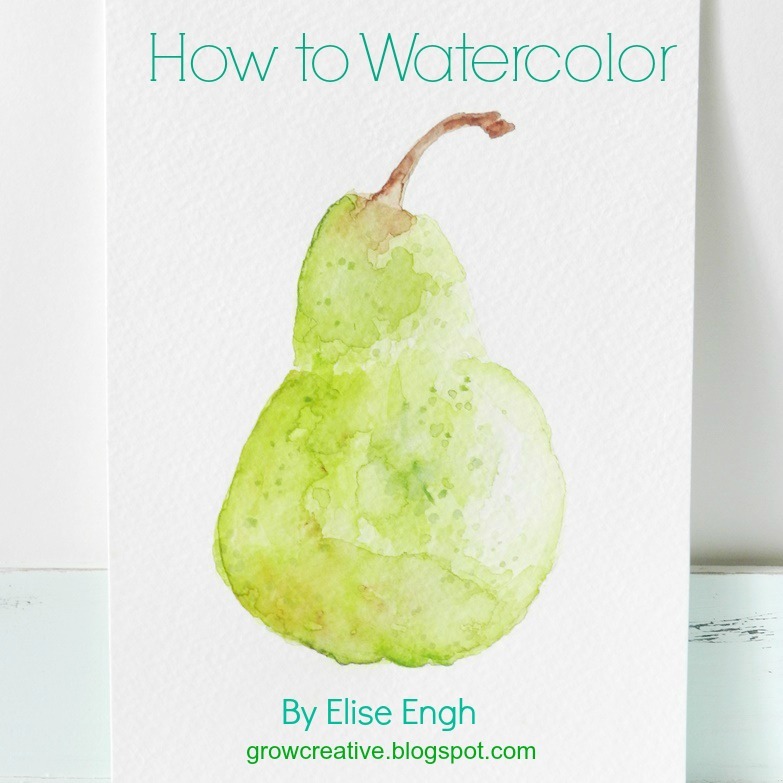 Welcome to my How to Watercolor Series! I've had a few requests to write some posts and tutorials on how to watercolor and I'm excited to share more about my passion with you! I've been painting with watercolors for about four years now and I love it more all the time..... and I still have lots to learn. Watercolors are versatile as well as unpredictable, but that's what makes them fun. You don't always have full control over what's going to happen when you put that paint on paper, but you with some practice and some knowledge about different techniques you can gain more control..... and create some pretty cool art! And finally, how to actually paint a still life! I hope you are excited! This series has been months in the making and I can't wait to get it out to you! Follow along with me through Google Friend Connect, Facebook, Pinterest, Bloglovin, or Email to check out the rest of the series. Oh fun! I hope to follow along with my 14 year old daughter. thank you for creating/hosting a fun series. what a great way to start 2014! i can't wait to follow. I'm so excited for this! I have really been wanting to learn how to watercolor. I'm going to share this on my FB page. Thanks! how fabulous! I was just saying that I'd like to know how to use watercolours properly! Yay! I can't wait for the next post. I AM SO EXCITED ABOUT THIS!!!!!!!!!!!!!!!!!!!!!!!! Thanks for sharing your talents. I am a regular admirer of your watercolor art AND your photography. Any plans of starting a photography tutorial as well? Visiting from Craft Gossip and your pattern for the scarf. This water-colouring series is just what I have been looking for. Some of the tuts are so 'artist' speak it puts me off. You are clear and basic which is what I need, thank you so much. So excited. This will be awesome! I just want to let you know what a beautiful and informative blog you have. I know it is not an easy task. I love stopping by to see what is next! Thank you for all your work.